No educational lesson in the history and roots of country music is complete without a trip down Texas way and getting acquainted with the work of Bob Wills and His Texas Playboys. After rising out of the Lone Star State’s dance halls in the 30s and 40s to hit the heights of its commercial appeal, western swing continues to ooze with timeless class with the two main artists charging themselves with leading the preservation stakes today being Asleep at the Wheel and Hot Club of Cowtown. Ray Benson of the former has been active in this role for over forty years and decided the time was right to give the genre extra vigour by engaging in a liaison with over twenty established artists to produce the latest tribute to the music of Bob Wills. 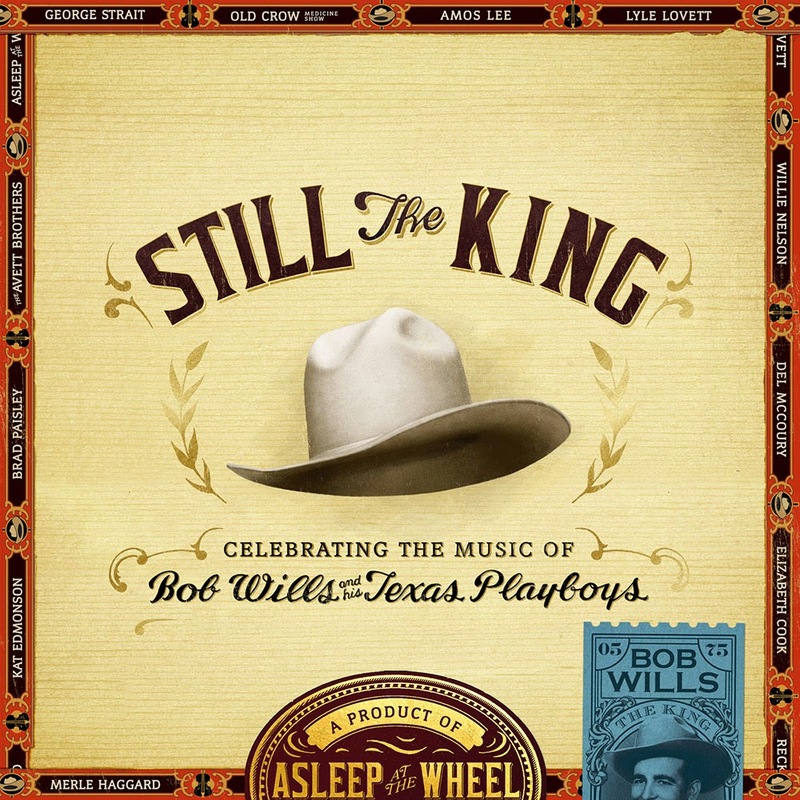 The result is a total re-affirmation that Bob Wills is STILL THE KING, a compilation of excellent recordings that succeed in breathing contemporary life into a style etched into history. The format is quite a simple one with Ray and his band accompanying a steady continual stream of ‘A’ list performers adding their own panache to a classic tune. The contributors span the wide genre of 2015 country music from the mainstream strands of George Strait and Brad Paisley through to the pure Americana of Buddy Miller and the Avett Brothers. Throw some iconic Willie Nelson and Lyle Lovett into the mix with the sass of Elizabeth Cook and the elegance of Carrie Rodriguez and you are still not yet close to getting to grips with the magnitude of talent enlisted for this mammoth project. In total, 21 Bob Wills tracks have been covered with the album being brought to a fitting finale with a 22nd track and a version of Waylon Jennings’ own tribute ‘Bob Wills is Still the King’, sung appropriately by his son, Shooter alongside Randy Rogers and Reckless Kelly. This neatly concludes a special collection, opened 71 minutes earlier by an intro courtesy of the Texas Playboys Theme followed by an immortal quote from Bob himself proclaiming the genre will be built again by the young. Another positive to draw from this release is the attention it may attract from fans of the contributors who aren’t familiar with western swing. It was of no surprise to see The Time Jumpers feature and it’s a good time to remind folks of their exceptional collaboration with Miranda Lambert on one of the stronger but less focussed tracks from PLATINUM. The wonderful combination of pedal steel, fiddle, piano, double bass and assorted guitars go a lengthy way in capturing the effervescent sound of western swing and Asleep at the Wheel are maestros in achieving this. Another fabulous feature of the presentation of these songs is the frequent interjection by Ray Benson, in addition to his formal duets, often bringing in or mentioning the other vocalists and ensuring a seamless thread of outstanding interpretations. There is immense pure listening enjoyment to be gained from activating this album and a suitable starting point has to be gazing at the guest list detailed below. Western music is often too easily and wrongly dismissed by modern country fans, so a combined mission has to be to ensure these people get an opportunity to rectify their errors. To aid such a process STILL THE KING is a gift wrapped project from heaven and achieves its goal of raising the profile of western swing music in 2015. 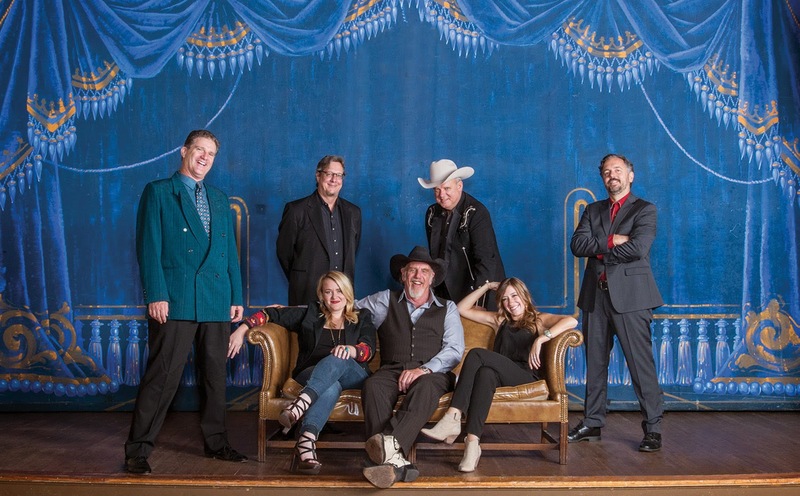 Long live Ray Benson and Asleep at the Wheel in their career mission along with other fine practitioners of one of country music’s most fascinating and entertaining sub-genres. Oh and by the way, Bob Wills is still the king of western swing as you might have gathered.